17.66mm x 22.53mm / 0.695in. x 0.887in. 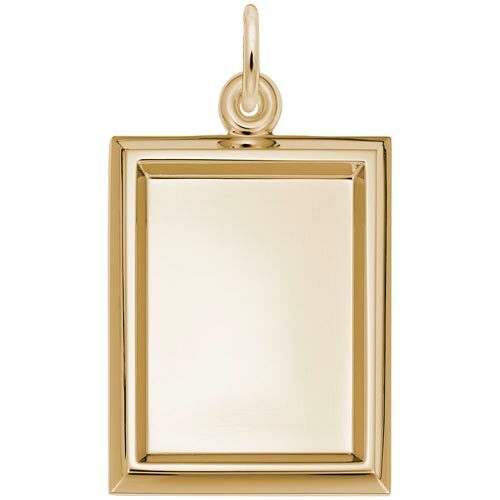 Small Vertical Rectangle PhotoArt® Charm by Rembrandt Charms. The height is 3/4 of an inch. The Small Vertical Rectangle PhotoArt® Charm is perfect for keeping a photo of your loved one or a special engraving on the back. This PhotoArt® jewelry can be placed on a necklace as a pendant or will be a wonderful addition as a charm for a Charm Bracelet. All Rembrandt Charms are available in either silver or gold. Email Photo to: photoart@charms1.com (“PHOTOART CHARMS TAKE 7-10 DAYS TO SHIP”.) 2-3 Business Day Shipping Option is Required to insure prompt and safe delivery.